Manually backing up iPhone photos to a PC means you need to connect your iPhone to PC each time you want to backup photos to PC. If you often take photos on your iPhone, it’s a good idea to configure iPhone to automatically backup photos to Windows 10 PC. You can automatically backup iPhone photos to Windows 10 PC by using Microsoft OneDrive service. All you need to do is install OneDrive app on your iPhone and sign in with the same Microsoft account which you are using to sign-in to Windows 10 or OneDrive on Windows 10. 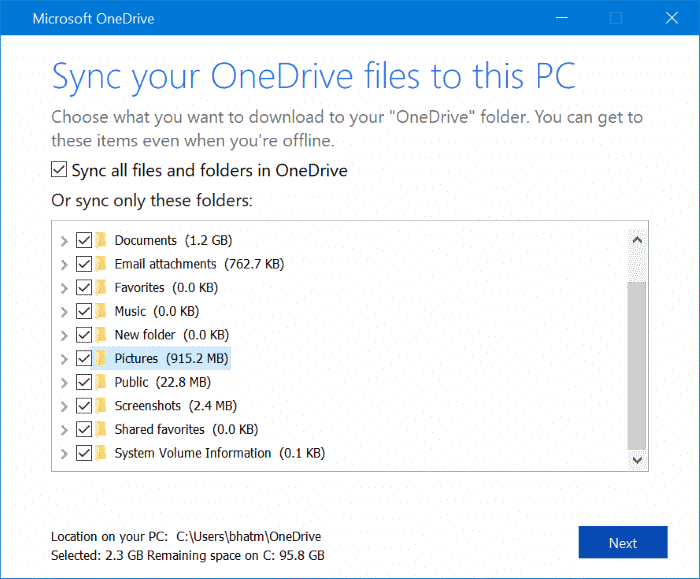 Here is how to use OneDrive to automatically backup iPhone photos to Windows 10 PC. Step 1: Install OneDrive app on your iPhone from the iTunes store. Step 2: Open the OneDrive app on your iPhone. Sign in with the same Microsoft account which you are using on your Windows 10 PC. If you don’t have one, read our how to create a Microsoft account guide. Step 3: In the OneDrive app, navigate to Me > Settings > Camera Upload. Step 4: Turn on Camera Upload. When you see “OneDrive would like to access your photos” message, tap OK button to allow the access. If you see “OneDrive would like to send push notifications” message, you may tap OK or Don’t allow. By default, OneDrive automatically uploads photos to the cloud account only when your iPhone is connected to a Wi-Fi network. It doesn’t upload while on the mobile network. 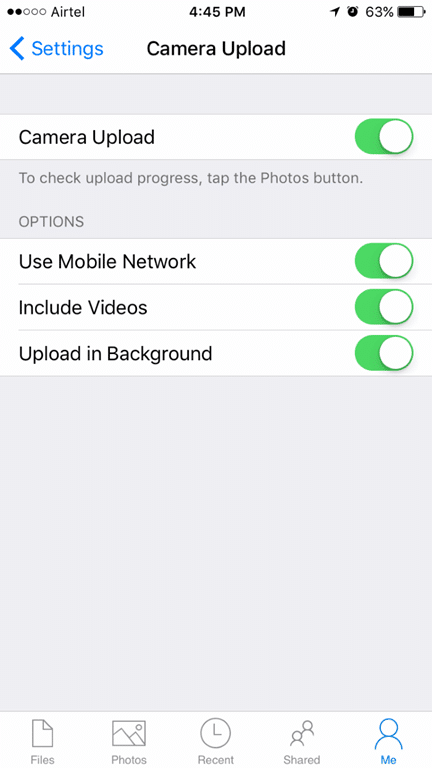 You can change that on the Camera Upload page (Me > Settings > Camera Upload) and we recommend you enable Use mobile network option, especially if you don’t get a chance to connect your iPhone to a Wi-Fi network once in a few days or if you don’t have data restrictions. Also, if you don’t want to automatically backup videos, you can turn it off there. We recommend you turn on Upload in Background option so that the app can automatically upload photos when you change the location. Finally, to check the upload progress, tap the Photos button. 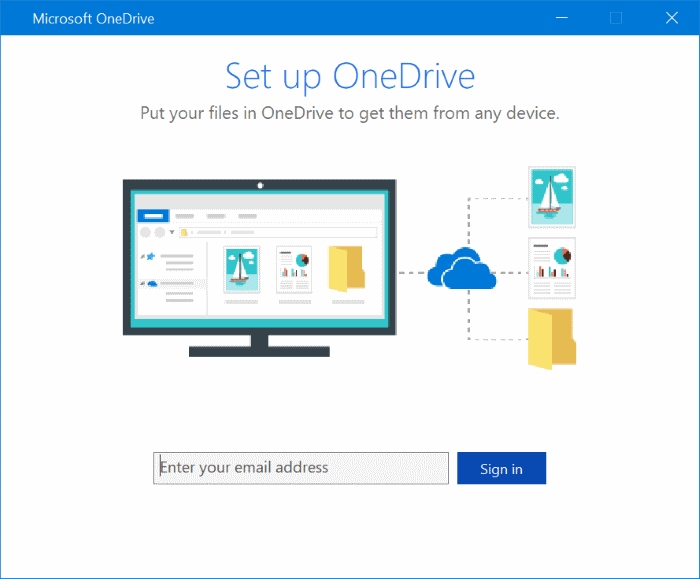 Step 5: On your Windows 10 PC, make sure that you have signed into your OneDrive account. To sign in, double-click on the OneDrive icon (cloud icon) icon in the notification area of the taskbar. Enter your Microsoft account email address and then type the password. Follow the simple on-screen instructions to complete the setup. During the setup, when you see the following screen, make sure that the Pictures folder is selected. That’s all! From now onwards, all photos on your iPhone will be automatically backed up to your Windows 10 PC. To check all backed up iPhone photos on your PC, navigate to File Explorer > OneDrive > Pictures > Camera Roll folder.